It’s in the nature of walking trails that they may become impassable (usually temporarily) due to landslides, flood damage or forest fires. The good news is that nature and/or man usually repair the route before long. We tried Walk 13, La Gomera but had to abandon it. 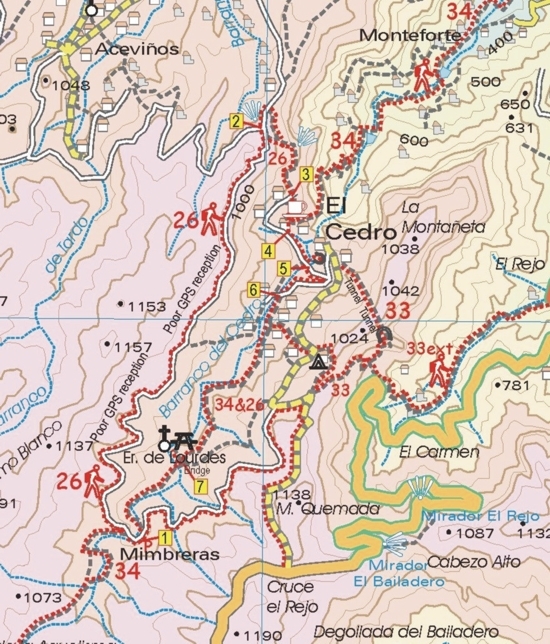 A forest fire has made it impossible to follow the directions between waypoints 7,8,9 and 10. The trees are unrecognisable and the path obliterated. Herbs, mostly Cistus, have grown over the whole area and the donkey trail is unrecognisable. Even with GPS we could not find the way and had to retreat to the road. You’ve heard of Tenerife – but where’s La Gomera? It’s just a short ferry ride from Tenerife yet as different as chalk from cheese. The island is almost circular and resembles a giant cake cut again and again by dramatic barrancos (ravines) running from centre to sea, topped by an ancient and mysterious laurel forest. 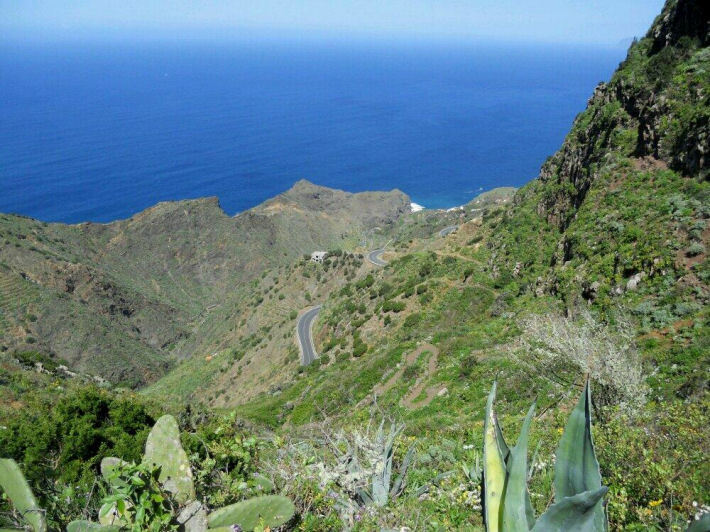 The taster route is Walk 26, ‘Las Mimbreras’, offering a tantalising sample of the island’s adventures. Here’s a map section of the route.